How often have we written off a patient or client because they simply won’t do what we ask of them? More than once, I suspect if we are being honest. So, how often do we ask ourselves whether they simply CANNOT perform a particular stretch or movement! A bit of anatomical knowledge could help us to decide how we handle these situations. I want to briefly outline one particular anatomical problem that will limit hip movement as well as cause hip & groin pain, however much you try to stretch or strengthen your way out of it. In fact, trying may make things much worse! Abraham Maslow said, “If the only tool you have is a hammer, you tend to see every problem as a nail”, so let’s see if we can add tools to the box. The Problem? 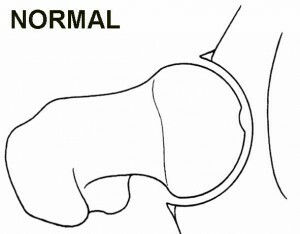 Femero-acetabular Impingement Syndrome, (FAIS). 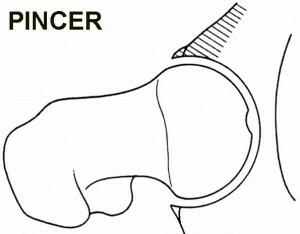 This is where the neck of the femur, (just below the ball), knocks into, or impinges on, the rim of the socket because it has a ‘bump’ or cam that reduces range of motion, (ROM). What should be concave is convex. 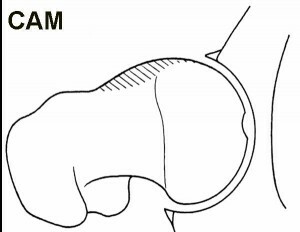 The rim also has a soft collar called the labrum. The potential is that the labrum tears or gets crushed and the underlying bone becomes damaged. The labrum is vital to health of the joint and its nutrition. There are several anatomical variations to the neck/head of the femur and the socket, (see diags), that make a person more likely to suffer FAI and the bottom line is that only imaging such as X-ray and MRI will confirm the problem. A good physical examination can hint at the problem, but is probably mainly useful in ruling out other problems. Pain in the groin is something most of us have had at some point. Most often is it the result of overuse, or ambitious sporting activity. Sometimes, it is repeated tackling, as in football or rugby. Perhaps it is an inguinal hernia! There are hundreds of causes of hip and groin pain, but I want to stick with this increasingly recognised condition, FAIS. FAIS has only recently been generally accepted as a pathological condition and I want to ask the Kettlebell community whether anyone has experienced this or, more likely, are experiencing the symptoms, but haven’t yet had an accurate diagnosis! The sufferer is usually early twenties to middle-aged and active, usually to the point of being seriously sporty, semi-pro or a professional athlete. Range of hip motion is decreased, especially in flexion and internal rotation. Pain is in the groin and may radiate down the thigh to the knee. The pain becomes increasingly chronic and long-lasting. Pain may initially be only after sport/activity and is worse after sitting/driving, crouching/squatting for extended periods. Current research increasingly suggests an association with progressive osteo-arthritis of the hip. 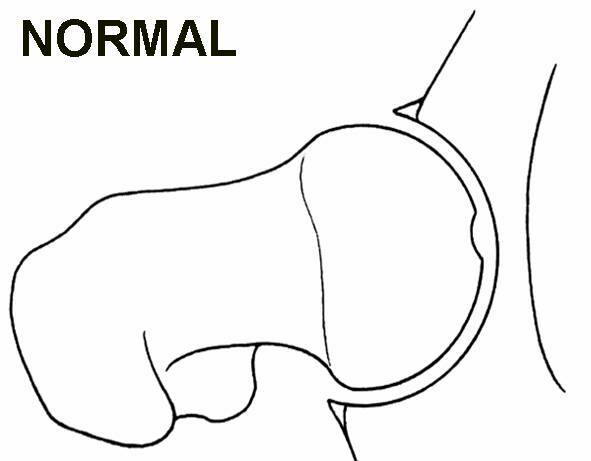 The two basic mechanisms of FAI are cam impingement (most common in young athletic males) and pincer impingement (most common in middle-aged women). From what I understand, if you have Cam Impingement, then surgery is the only solution once any significant damage has been done. Reducing activity, or ‘Managed Rest’, as it is called, will help those who can give up the sport that aggravates them, but frankly these are the people who are less likely to do so. Arthroscopic surgery seems to be the option of choice, but you need to do your homework and pick an experienced surgeon. Pincer Impingement, it would seem, if caught early enough, presents a window of about 6 months of remedial soft tissue and physical therapy can be helpful and some may avoid surgery. One source suggested about 2%. Bear in mind that this group tend to be middle aged people, who are perhaps a little more likely to tone down their activities. So, the bottom line is that IF you have FAIS, you cannot work through it, and it will probably make things worse if you do. It may sound contentious, if you get a diagnosis and conservative therapy makes it better……..well, look carefully at the diagnosis, rather than the therapy/therapist. The initial diagnosis was probably wrong! Just bear in mind that the client who has some of the symptoms or signs and who cannot seem to improve, just might have FAIS. You will make a lifelong friend if you help them to find a solution. You don’t need to be a medic, just think things through and you might just make a real difference.